Princess Peach is making her Super Smash Bros. return. Head inside to see her in 3DS form. She's back. 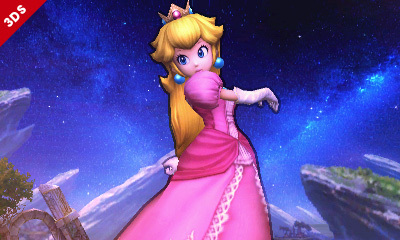 Princess Peach will be coming to Super Smash Bros. Wii U and 3DS, Nintendo confirmed. Below is an image of her in the 3DS version.